Literally, ATV stands for All Terrain Vehicle and that is probably something everyone knows! The tag that is probably attached with this type of vehicle would be “Only for Professionals (or Adults, to be true)”. 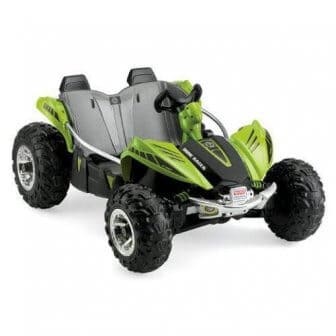 Since ATVs are such popular and exciting vehicles to own and ride, children particularly are extremely fond of these. That is why many renowned toy making companies and bike brands decided to make a miniature version, only for kids! Hence the ATVs for kids came and ruled the markets. What does 110 cc Mean? Interested parents looking for a perfect model to buy for their kid might find some of the information provided in the specifications bit confusion. “110cc, 4 stroke engine” is probably something you would find in any fuel powered ATV’s features. Now, the question parents often raise is, are the bikes of 110cc, like real ones? Well, yes, it is like the real ones, and that is why riding the ATVs needs a little preparation for the kids. There are often age limits mentioned for a certain amount of cc available in an ATV. A 110cc ATV almost is able to perform as finely as a general scooter, but ATVs for kids are of course off-road rides. So, such a power-sport item should not be chosen for beginner riders. 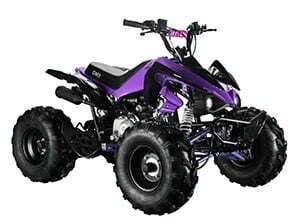 For them, there are 50 to 100cc ATVs to be chosen from. The ATVs which are specially developed for children are mostly made with a particular theme and purpose in mind. For example, the shape, design, and overall look and features vary from an ATV with a military theme to the one for a rescue mission. There are more types like this to help in role plays and other exciting activities, including the ranching, camping, emergency, fantasy, racing, monster truck or superhero ATVs. Parents actually will have a handful of options to choose from, considering the things their children like most. Again, since parents are the one to take care of children’s safety and capability of riding such a vehicle, they should also do a little homework before buying any ATV. There are a lot of famous names available among the makers of amazing kids ATV. There are also some Chinese manufacturers in the market, with cheaper prices and more features, and among them, some are really good too, but that is something really strategic to find out! However, for those who want to skip the hassle and opt to invest on a reliable brand and manufacturer from the US, can pick from Polaris, Yamaha, Kawasaki, Honda, Mega Motor Madness, and much more. Depending on the engine type and the level of user’s advancement, the rides vary in prices. The price range generally starts from $300~350 and can go up to almost $1000. The 110 cc rides generally remain in the middle group of that range, but also climbs the top bar when more features are added. Of course, there are parents, for who money is not a problem and on the other hand, there are the ones who have to be on a budget. Such branded ATVs do have things for both groups; but at the end of the day, it is for the kids, so parents should think through things to choose the best one for them. As mentioned before, a 110cc ATV for kids requires a certain level of riding capability reached. It is certainly not the bike or toy to handover to a preschooler with no sense of balance and control yet. This will be a disaster in disguise. The school goers, with a developed practice skill in riding other rides that require similar controlling and balancing ability, a 110 cc ATV will be perfect. No matter with how much of safety these off-road rides are made with, parents or other caregivers should always keep an eye on the children while riding such a thing. If that is done, the ATVs can be one of the best parts of any kid’s childhood! 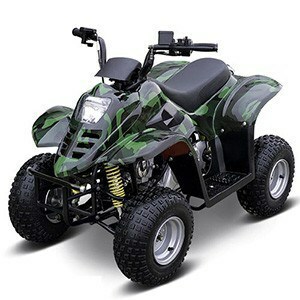 You can choose any 110cc ATV on Amazon or somewhere else, but in any case, you will be sure your kid will love the ATV. If you think your kid is not ready for gas ATV yet, consider buying him an electric four-wheeler like Razor ATV.